I’m going to blog the alphabet this year which, for me, is a pretty hefty investment since that commits me to 26 blogs in 2017. But I’ve been very good on Facebook, not expressing opinion about much of anything, even when I’ve had plenty of words and opinions. I don’t engage in debate or argument, though. That’s just me. Everybody’s entitled to what they want to believe, and I sort of subscribe to the ‘live and let live’ philosophy. 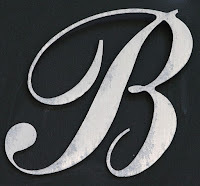 But as good as I’ve been on Facebook, I do have some thoughts, and while they might not fit as well with the alphabet, I’m going to give it a try and keep my fingers crossed that I actually have 26 blogs in me. (Admittedly, the X week scares me.) So, let’s get started with the letter ‘A’ and the word: ADJUSTMENT. Yep, that’s what we’ve got to do. We’ve got to adjust, and I’m not just talking politically, even though some political thinking and attitude could stand a little adjustment lately. But to me, the word adjustment has a much bigger context. It’s about what we have to do in our lives every day in order to get ourselves through and on to the next day. It would be nice if things slowed down, or even stopped sometimes. It would also be nice to think that when you wake up in the world today, you’ll wake up in the very same world tomorrow. But that doesn’t happen, does it? I woke up in the world a few of days ago and Obama was my president. Then I woke up the next morning and Trump was. That takes some adjustment. But so does the weather. Yesterday morning when I woke up it was gray and rainy outside and this morning when I woke up it was. 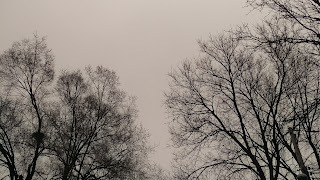 . . well, it was still gray and cloudy so no adjustment needed there. But by now, I think you get my drift. Things are never the same, and it’s up to us to adjust, or fall behind. Years ago, I thought the whole cell phone thing was stupid. Why do people have to stay in touch every minute of every day? I didn’t have one, didn’t want one. But. . . I finally gave in. Don’t remember why. Just remember that I did. I didn’t use it much, though. Not at first, anyway. Why? Because mentally, I wasn’t able to make that adjustment yet. Or, maybe I just didn’t want to. Whatever the case, I carried it around for a year, turned off most of the time, and wondered why I was paying such a ridiculously high price for something I wasn’t using. So, I turned it on and opened up a different kind of world for myself. And while I don’t consider myself one of those obsessives who buries her nose in her phone every minute of every day, I do find that it comes in handy. Why? Because I allowed myself to adjust and, due to that, my cell phone was the means by which Joel and I found help when our car broke down in the middle of nowhere. It was also what I used when it broke down again, but this time in the middle of the night at O’Hare International in Chicago. I was able to find a towing service and rent a car to get us home in a matter of minutes, all because sometime a few years ago, I bit the bullet and adjusted. 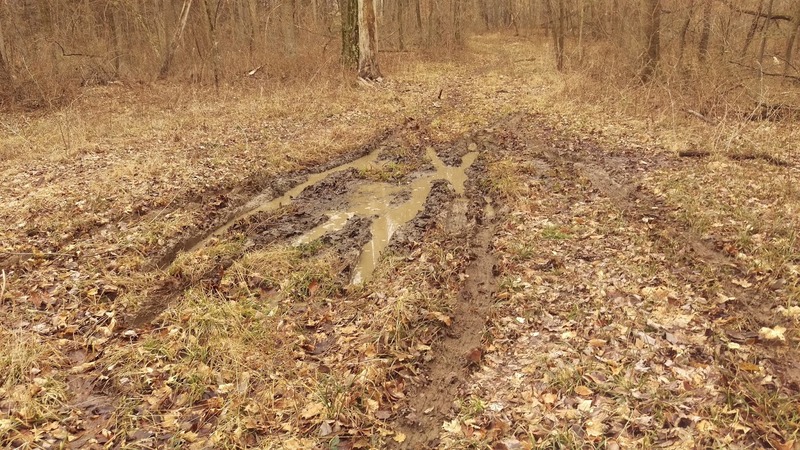 A couple of days ago, that adjustment I’d made way back when let me post pictures of being stuck in the mud to Facebook during the actual event. You know, we’re stuck in there mud therefore I shall Facebook it. Technology aside, we’re called on to make so many other adjustments. I adjusted to life without a mother, then without a father. I adjusted to life after I went from walking to crutches to a wheelchair. I’m adjusting to a spotty amnesia that resulted from an illness I had last year - most things I remember, some things I don’t. Most of all, I adjust to all the things that surround my life, good or bad. I have to, or I’ll find myself encased in a life so small that it will eventually squeeze me in and trap me there. And I don’t want to be trapped because there are so many great, new experiences out there for me to have, if I allow them in. If I adjust. Adjustment is defined as and adaptation to a particular condition, position, or purpose. Roget lists some of its antonyms as: disarrange, disorganize, disturb, disorder, confuse, worsen. Aren’t those ugly words? They’re sure not words I want in my life. When you look at the entire list of antonyms, it gives you acid indigestion or angst, or both. But the synonyms are so nice: accommodate, fine-tune, compose, harmonize, redress, rectify. All things I’d much rather do than disarrange or worsen. Sure, adjusting isn’t always easy. Sometimes it goes against our natural grain or our preconceived beliefs and notions. But it’s also a means to growth and, in this day and age, we do have to grow in order to survive. That’s just the way the world is, now. Actually, it’s the way the world has always been. If not, we’d still be starting our fires with a flint (if we’d even adjusted ourselves to the point that we had fire) and hunting our dinner with a club or a spear. Sure, sometimes the adjustments are difficult. 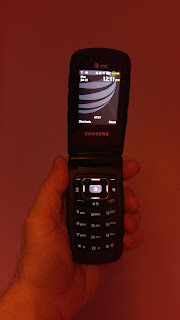 My husband is still stuck in the old flip phone world, refusing to use a smartphone of some sort. Little by little he’s going to have to adjust that because the work he does requires it. He does own that smartphone now, hasn’t used it yet, doesn’t know how. But he’s made a very small adjustment by agreeing to actually possess the beast and, at some point, he’ll learn how to flip on the screen and make a phone call. Or use the internet, take a photo or download a work order on it. Small steps, granted. But steps of adjustment. And that’s all adjustment really needs - small steps. One at a time. Like it or not, that’s life. We don’t get to make all the choices, and some of the choices that are handed us we simply have to adjust to. So, why make it so tough, the way we often do? Why not look for the positive outcome in our adjustments, because they’re always there. And that, perhaps, is the biggest adjustment of all - always looking for the positive outcome. Sure, it may be hard to find it in a lot of situations. But it gets back to all those synonyms and antonyms; wouldn’t you rather be part of adjustment’s synonym than its antonym? So, here’s a practice adjustment to try. Tomorrow morning when you wake up scowling because you hate getting up in the morning, take ten seconds and smile. No, not a grudging smile. Make it a genuine one because you’re facing a new day with new possibilities. Be glad for those ten seconds. Make that smile your daily adjustment. Give yourself ten or maybe even (God forbid) twenty seconds of smiling, with a couple of happy thoughts thrown in for good measure, every morning then you can go back to your scowling if you want. Sure, it may seem silly, but it may also be the baby step you need toward a much bigger adjustment you’ll have to make at some other time. And I promise you, your life is going to be filled with adjustments no matter what you do. How you handle them, though, is what will make the difference between being miserable and finding a place where you can be happy or, at least, happier than you would be if you refuse to budge. So, get over it, get on with it. Get around it, get through it. Change it, fix it. Budge, adjust. Make it accommodate your life and the lives of the people around you. Embrace it. Hate it, if you have to. But find a way to make it work. In the end, if you don’t, you’re the one who gets hurt, or left behind. That’s not where you really want to find yourself, is it? Don’t you deserve better than that? If you don’t think you do, then adjust your thinking, because you do! 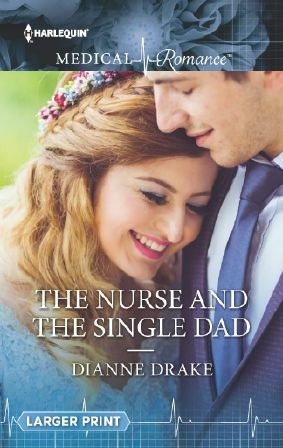 Now my blatant promo for the day: The Nurse and the Single Dad (Harlequin Medicals) will finally be out on February 1. You can find it online at all the normal book retailers, or purchase it directly from Harlequin Books (Harlequin.com). It was the first book I wrote after a lengthy, complicated illness that nearly robbed me of my ability to write (and left me with that spotty amnesia I mentioned in this blog), so this one holds a special place in my heart. I hope you’ll enjoy it. Until next time. . . wishing you health & happiness. I love your thoughts, can't wait to read (B). I'll send you a copy this week.